Product prices and availability are accurate as of 2019-04-07 01:32:02 EDT and are subject to change. Any price and availability information displayed on http://www.amazon.com/ at the time of purchase will apply to the purchase of this product. 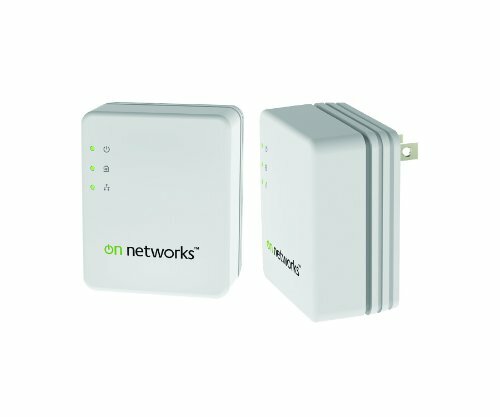 The On Networks Powerline 500 Home Network Adapters extend a wired Internet connection to any power outlet throughout your home, at up to 500 Mbps speed†. No setup required, just plug them in.